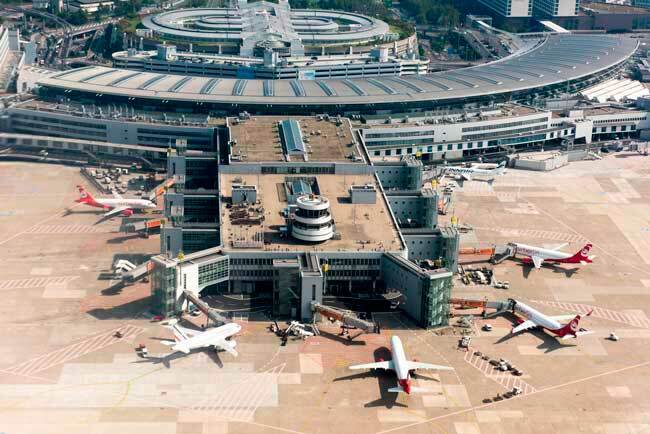 Use this website to quickly find the most important information about the upcoming airport Dusseldorf Airport (DUS): Flights, Departures, Arrivals, Parking, Car Rentals, Transport, hotels near the airport and other information about the Indian Dusseldorf Airport. 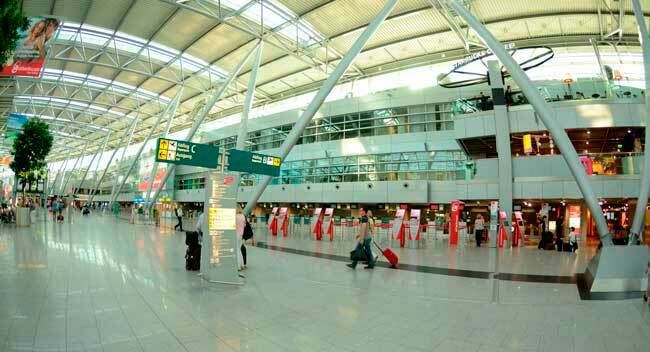 Plan your travel to Dusseldorf Airport with the information provided in this site. Dusseldorf Airport is the international airport of Dusseldorf, the capital of the German state North Rhine-Westphalia. DUS Airport has 3 Terminals: Terminal A, B and C.
In 2016 Dusseldorf Airport handled 23, 521, 919 million passengers. The SkyTrain is a service which connects several points of Dusseldorf Airport. Dusseldorf Airport is about 10 km from the city centre. Dusseldorf International Airport, also called Dusseldorf Airport (IATA: DUS; ICAO: EDDL), is the international airport of Dusseldorf, the capital of the German state North Rhine-Westphalia. Must-see Attractions: The city of Dusseldorf (Düsseldorf) is well known for being the centre of the art and the fashion of Germany. Every July, the city hosts the Largest fair of Rhine, a funfair attracting more than 4 million people, as well as the Karneval each 11th of November. Kaiserswerth is a beautiful Dusseldorf’s neighbourhood and a nice place to be explored. Within Kaiserwerth, one of the oldest neighbourhoods of the city, you can visit the Church of St Suitbertus. The neighbourhood is also kind of posh.. Another nice and cultural attraction you can visit in Dusseldorf is the Museum of Art (Museum Kunstpalast), with art works from Helmut Hentrich, Dali, Warhol or Caravaggio. Kunstpalast also offers theatre performances, concerts and tour guides. There is an artists collective of Dusseldorf called Kunsthalle Dusseldorf with the gallery Art in the Tunnel (Kunst im Tunnel). Located about in Dusseldorf-Lohausen, about 7 km from Dusseldorf city centre and 20 km of Essen. 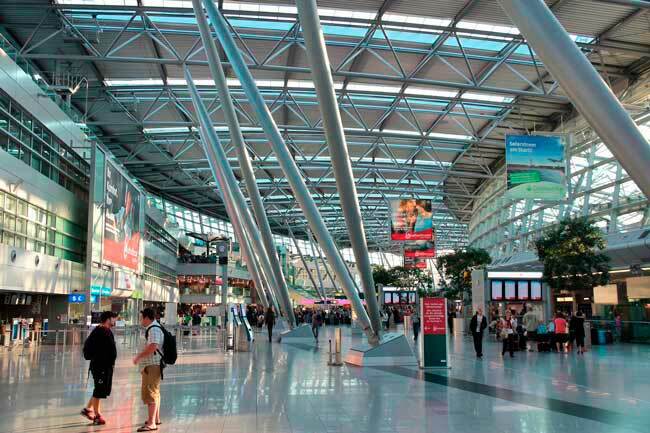 DUS Airport is the third biggest airport in Germany and the hub of Air Berlin and Eurowings. Terminal A: Lufthansa and Germanwings services. Terminal B: Domestic, regional and EU services. 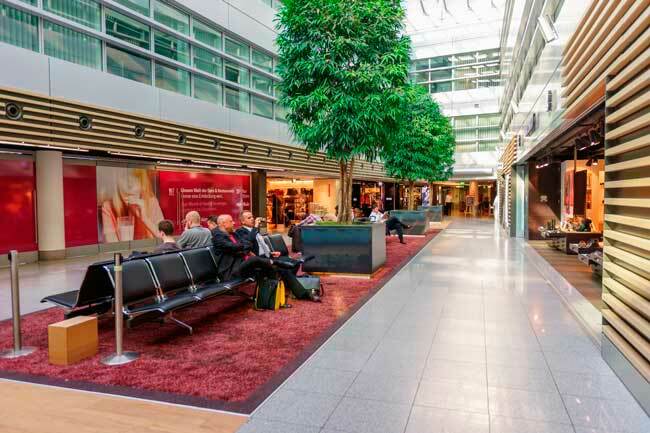 Terminal C: Long-haul and non-Schengen services. Dusseldorf International Airport was reopened in 1948 to handle civil passengers with the end of the WW2. Dusseldorf Airport (DUS) is very well connected with the rest of Germany, the whole Europe and the globe. Dusseldorf Airport (DUS) is located in Dusseldorf-Lohausen, about 10 km from Dusseldorf city centre. 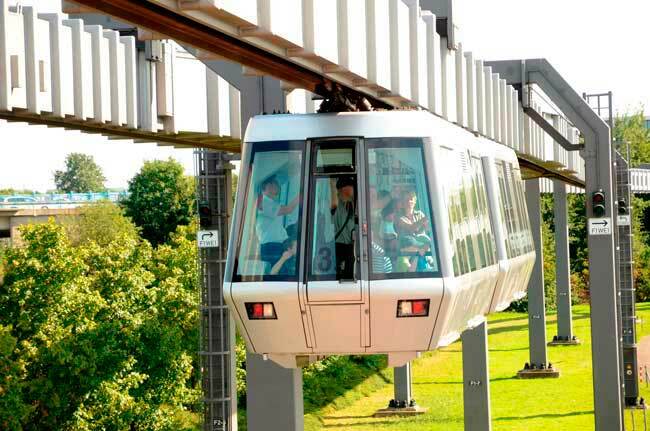 - Sky Train: The best way to transfer between terminals, Dusseldorf Airport Railway Station and Long Term Parking lots. - Train: A couple of railway stations serve Dusseldorf Airport. - Bus: Several bus routes to transfer to downtown Dusseldorf from Arrivals. - Taxi: A trip of 15 minutes by taxi to central Dusseldorf. -Metro: Get to Dusseldorf Hauptbahnhof by train and take the metro. You can also rent a car at Dusseldorf Airport. Chech our search engine to find your best car rental option during your trip in Dusseldorf. Location: Parking Lot P3, level 0.